Hi friends! 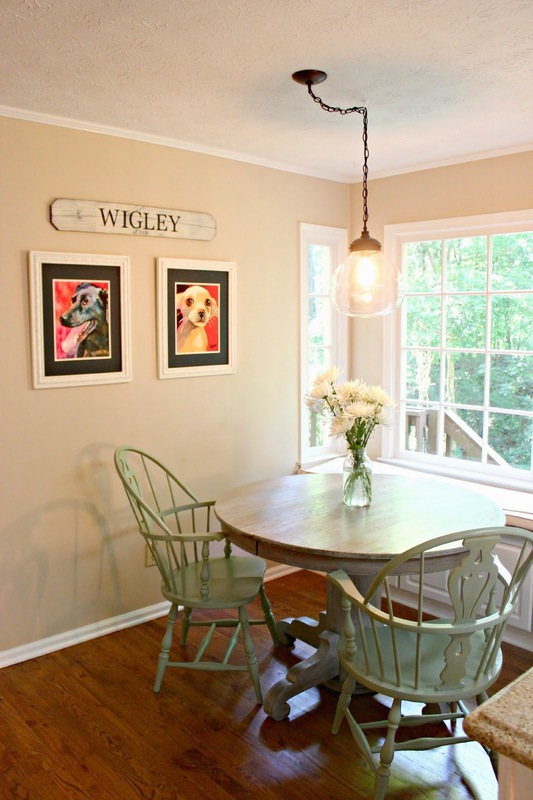 It's been a fun couple of weeks at the Wigley home. My mom came to visit last week, and this past weekend hubs threw me a surprise birthday party... three months late (we were buying and selling the houses during my actual birthday). He called it my 30.2 party. It was a revival of my all time favorite birthday party... my 13th. He secured a DJ and we danced the night away to some awesome 90s jams. I love him. But back to the house. As I mentioned, my mom came up to visit us the prior weekend. It was her first visit to the new home and she wanted to help us decorate. I knew exactly what I wanted her help with... sewing some pillows for the breakfast nook. I loved the look we accomplished, but I thought it needed some color and texture. Pillows were just what we were lacking. Saturday morning, mom and I went on a fabric searching adventure. 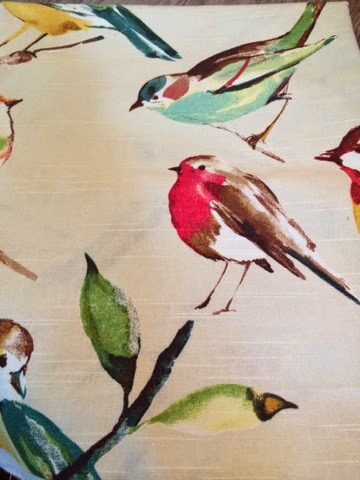 I finally decided on this gorgeous print from JoAnn's. I fell in love with the colorful birds and thought they would fit in perfectly overlooking the jungle. Thankfully, my mother is really talented when it comes to all things sewing. She made the two larger pillows with the pretty orange piping. 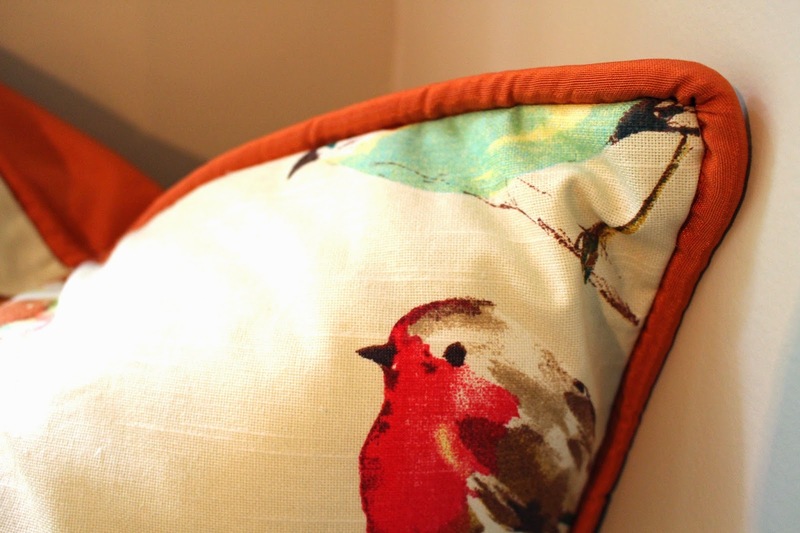 After she left, I used some of the skills she taught me and made the two smaller bird and orange pillows. I bought the yellow embroidered pillows from TJ Maxx. I think they help soften the look of the nook. 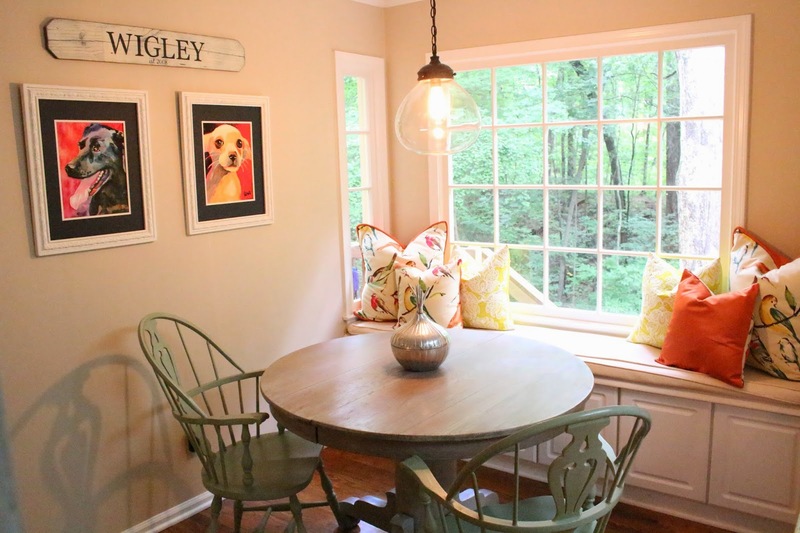 I'm pretty pleased with the look of the breakfast nook now. It's functional and FUN! I'm still deciding about what color/if I'm painting the walls in the kitchen. We may wait until the kitchen gets fully remodeled. But for now, I'm liking what I'm seeing. Mom's visit inspired me to keep sewing. 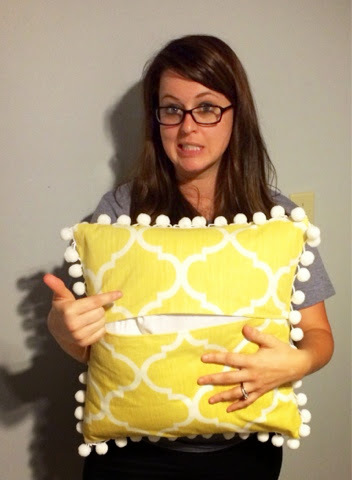 On Sunday night I churned out this cute little pom pom, envelope pillow. Y'all, I can't believe I managed to make something that turned out mildly adorable. Well, it's adorable until you look at the back of it. HA! I need to add a snap to keep the thing shut. I've decided that I really enjoy sewing. I just need to keep it up and try new things! What new projects are you trying these days? Talk soon, friends! 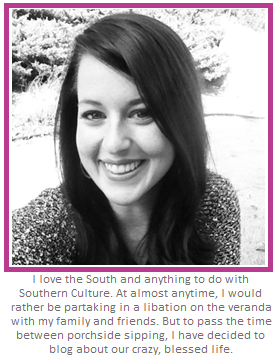 Love to read your blog !!!! I am so proud of what you and Kevin have accomplished !! Love the pillows. 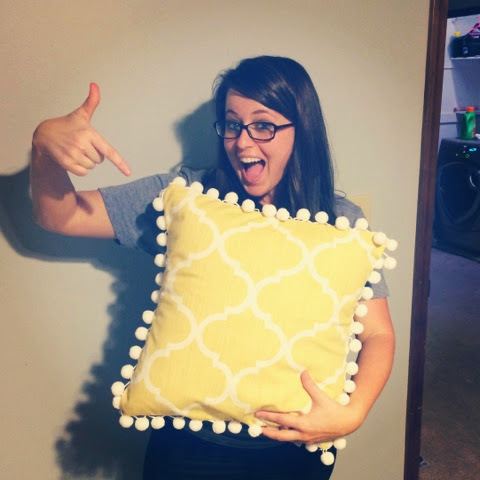 Throw pillows are my love language...we have so many! The birds are so cute. This cracked me up! Love the pillows! 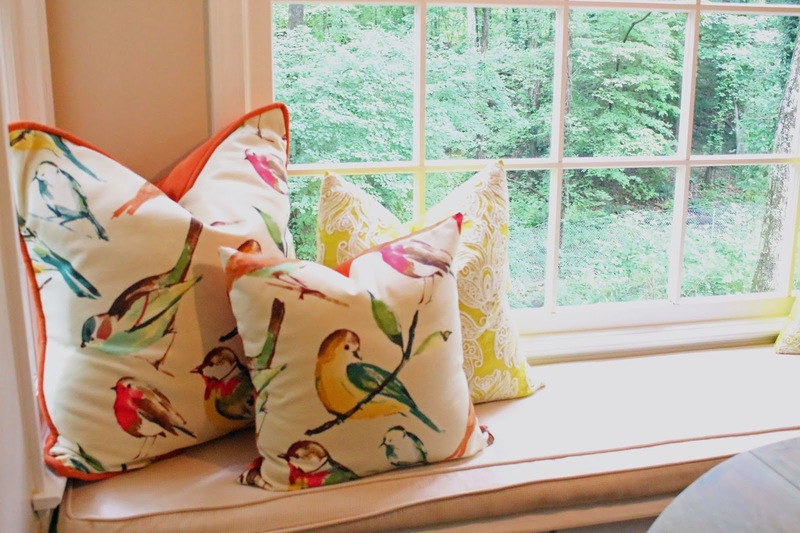 The pillows look amazing on the window seat. And yours looks great too. I wish I knew how to sew. I need curtains and can't find what I want.